Class descriptions and start times are below the calendar. Recurring meetings of groups at the BIBS center. Empty Gate Zen Center – Korean Zen – Thursdays, 7 p.m.
Boise Insight Sangha – Boise Insight Sangha is primarily focused on insight meditation (Vipassana) and the liberation teachings of the Buddha. Tuesdays 6:00 PM to 7:30 PM. TVDF Vajrayana Group – Sundays, 4 p.m.
What is the beginner’s mind book study? Beginner’s Mind Sangha hosts a book study group Sundays, 10am until noon. The current book is “Awakening of the Heart, Essential Buddhist Sutras and Commentaries” by Thich Nhat Hanh. We are reading the first sutra in the book pertaining to the Full Awareness of Breathing and will discuss pages 59 thru 72. The book study group is open to everyone. As with all of BIBS activities there is no charge to participate, although generosity is appreciated. THANK YOU> Is the book provided or where could I purchase it? How best might a person “jump into” this class? Is there a way to know what book/passage will be studied in the upcoming class(es)? I’d like to join this class, but I’d like to come prepared as well. The “Calm Abiding” or “Shamatha” class, 150 Buddhist Medititation, is using “Calming the Mind” by Gen Lamrimpa, as its text. As of March 30, we have covered material corresponding to a bit more than half the book, which is a small paperback. Do you offer instruction in Vipassana, or are the meditation times just for those already familiar with the technique? Also, do you know when you’ll be starting the 100 course anew? The Vipassana group on Tuesday is not an Institute course, but rather a community group that is mostly enjoying sitting practice together, and is just getting organized. The Buddhist View 100 (Foundations) is currently in its final few weeks. It is not scheduled to repeat at the present time, though if requested by several people it will return as early as this summer. Hello. I am interested in your Beginning Mindfulness class that has already begun. I am also interested in learning to meditate. I am curious if there is a cost associated with this? I would like to attend tomorrow at 6:15pm (the second class). I know NOTHING about Buddhism and really would like to learn! Are these classes good for someone like me or can you point me in a direction that would be more beneficial? These are perfect opportunities for you! These particular classes are taught especially for the beginners in mind, and are offered without charge. 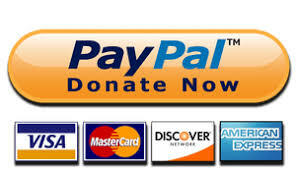 There are few expenses and we operate from donations. Check it out for fun and see if it fits. What do I need to bring, Dan? Any recommendation on where to start for someone interested in this organization but has no experience with Buddhism? I would love to take class but just feel a bit lost as far as what to attend. We have a classes coming up that will be just right for the complete beginner. We will announce it formally in the next day or two. I’m interested in taking some classes but it appears to me that they all have started already? I’m guessing it’s better to start when the lesson begins right? when do classes restart, I really would love to come here and want to start as soon as possible! let me know. Who is leading the Sunday morning 11:15 meditation, which now read “lightly guided”? Thank you! Hi. I am intending to attend tonight’s Zazen with the Floating Cloud Sangha. I have a little Zen practice, but my wife, who will be with me, does not. I was looking for a contact, if there is one available, to talk to and make sure we are not breaking protocol by showing up this evening. Is there one available? She’s welcome to show up. Shoes removed and the ability to be still and silent are all that’s required. Just realized you said “floating cloud”. They meet at another location. There is an insight meditation group at bibs tonight at 6. Same advice: silence and stillness. Just show up. will now meet Tuesday evenings 7:30 – 9 p.m.
for zazen & discussion at the 7th St. Zendo, 917 7th St.